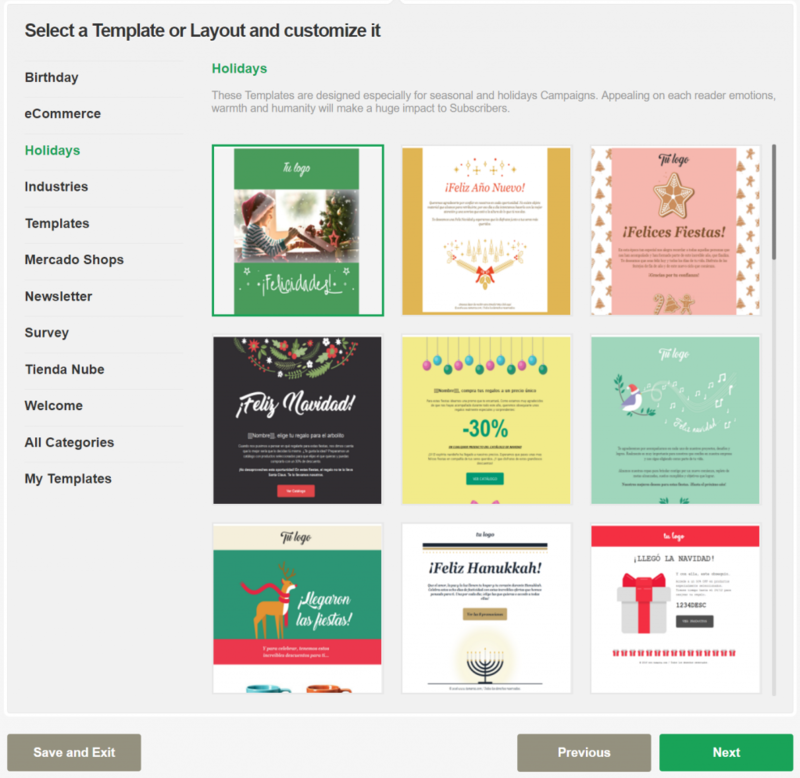 Have you ever thought about taking advantage of your Email Marketing Campaigns to boost your sales while saving money in payment gateways fees? In this tutorial we explain you exactly how to do it thanks to the new integration between Doppler and PayU. Before we begin, let us tell you these great news! You will receive an special discount on the current fee charged for every sale you complete by sending your Campaigns with Doppler. If your company is in Argentina, Colombia or Mexico you can create your PayU account in the corresponding link. If you are from another country, create your PayU account by clicking here and ask for your discount sending and email to partnersar@payulatam.com. You already know the versatility and efficiency of Email Marketing to achieve challenging goals. And now it helps you to optimize your profit with this new functionality that allows you to sell your products and services directly from the Inbox. In order to edit your Campaign and add PayU buttons, you must first have logged in to your Doppler account. Don’t have one yet? Create it for free here. Once you have completed the previous steps, and you have reached the creation of the Campaign Content, click on “Templates Editor”. Choose the Template that best fits your goals and select “Next”. 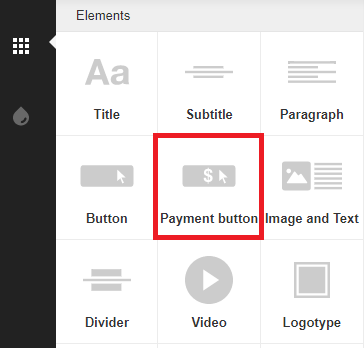 Once you access the Editor, among the “Elements” that are grouped on the left of your screen, you’ll find one called “Payment button”. On the left of your screen you’ll see all the options you have to personalize the PayU payment button. You can change the background, the alignment (left, center or right), even the size of the button. 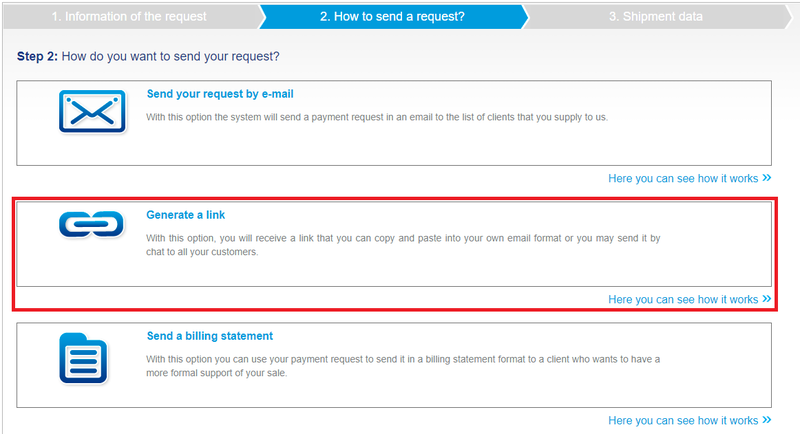 Don’t forget to include the “Detailed payment request” URL that you have to create in PayU. Simply access the “User Tools” menu, click on the “Requests for Payment” option and define your “Detailed payment request”. Once you completed the product information, “Generate a link” and paste that URL in your “PayU payment buttons” feature in Doppler. Keep in mind that functionality is also available in the one, two and three columns elements. That’s all! 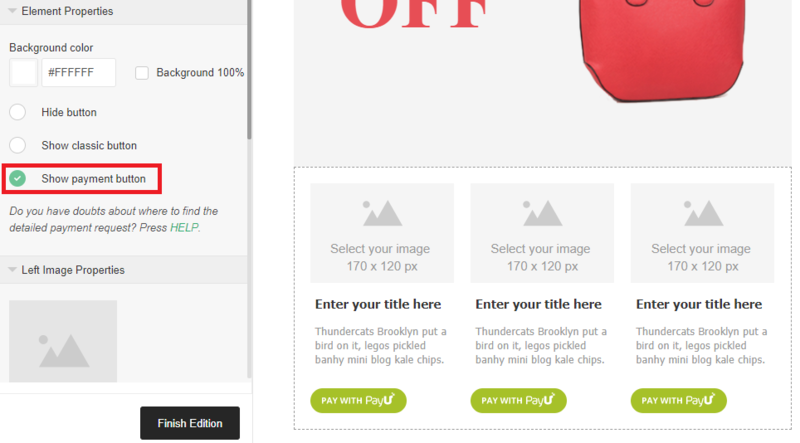 Now you know how to incorporate PayU payment buttons in your Emails in order to start selling directly from the Inbox.